The Beaufort Street Dental Centre team is here to support you in achieving better dental health and getting a smile you can be proud to show off. We welcome the opportunity to meet you and discover how we can help you! Inspired by his father, an oral surgeon, Joseph was destined to enter the dental profession. His mum even helped in his father’s surgery, and Joseph lived and breathed dentistry for his entire life. Also in the industry is his sister, who is a periodontist. Though he briefly considered architecture as a career, Joseph went with the choice that felt natural and entered the University of Adelaide to earn a Bachelor of Dental Surgery, graduating in 1995. He then went on to Newcastle University in Newcastle upon Tyne in the UK, achieving a Master of Science in Restorative Dentistry. Dr Laney has always been passionate about healthcare, making her venture into dentistry a natural one as it offered her a perfect combination of applied medical knowledge and hands on practice. She decided to attend Sydney University where she received her Bachelor of Dentistry (Honours) in 2007. At Beaufort Street Dental Centre, Dr Laney makes it her mission to help patients achieve and maintain a healthy, confident smile. 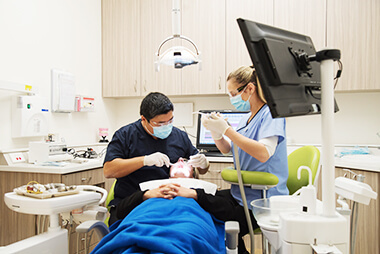 She makes a point to stay up to date with the latest research and advancements in the field of dentistry to be able to offer patients the best possible services and results. Outside of Beaufort Street Dental Centre, Dr Laney enjoys spending time with family and friends, cycling and kayaking. Also a fan of music, Dr Laney revels in dancing and art. Dr Tracey Gold received her Bachelor of Dental Science with honours from the University of Western Australia in 1992. Since then, she has had the pleasure of helping the Mt Lawley community enhance their smiles. Dr Tracey takes a unique, scientifically minded approach to dentistry that allows her to produce excellent results for her patients. 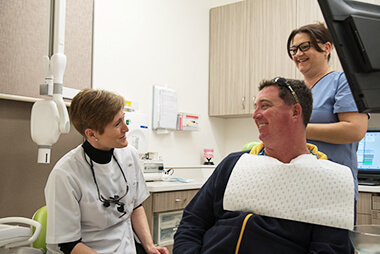 When she isn’t crafting beautiful smiles for patients at Beaufort Street Dental Centre, Dr Tracey enjoys spending time outdoors and at the beach with her two daughters and Labrador retriever. She also makes her fitness a priority, partaking in regular running and cycling. After having the ability to job shadow a close family friend who was a dentist, Dr Amanda decided that a career in dentistry was the perfect fit for her. Dr Amanda graduated from the University of Melbourne in 2011 with a Bachelor of Dental Science. Upon joining the Beaufort Street Dental Centre team, Dr Amanda has had the chance to help many patients improve their smile and loves interacting with them each day. Dr Amanda particularly enjoys oral medicine and helping patients overcome TMJ disorders and previously worked as a dentist with the Royal Australian Navy. Outside of the practice, Dr Amanda enjoys cooking and spending time with her spouse and their one-year old puppy. She is currently taking postgraduate courses to complete her Doctorate of Clinical Dentistry. Insurance coverage is accepted, and our team are preferred providers for several insurance plans. Book your time with us today!